This Situation Update describes events occurring in Kawkareik Township and Win Yay Township, Dooplaya District during the period between November 2016 and January 2017, including development, healthcare, education and military activities. On November 11th 2016, Battalion Deputy Commander Naing Lin Aung (Tatmadaw) from Light Infantry Battalion #31 ordered one of his soldiers to remove a school signboard and Karen national flag from the front of a self-reliant school in A--- village, Than Payar village tract, Win Yay Township, Dooplaya District. Following this, Karen villagers from A--- village felt that the Burma/Myanmar government does not want to recognise the Karen people and they said that Tatmadaw should not remove the Karen national flag from their school. On January 15th 2017, Asia Eagle Company came to conduct a survey on a rocky mountain in B--- village, Sin Pyay village tract, Win Yay Township in order to construct a cement factory. Villagers from B--- village did not agree with the proposed cement factory project. However, Asia Eagle Company did not hold a consultation meeting with local villagers when they conducted a survey so villagers could not express their disagreement. On December 12th 2016, the Strategic Operations Commander from Kyainseikgyi came to check Tatmadaw army camps in Kawkareik Township. When he came to check the camps, the road was full of security guards who were there for his security. Local villagers worried that fighting might have occurred when they saw a large number of security guards on the road. The following Situation Update was received by KHRG in January 2017. It was written by a community member in Dooplaya District who has been trained by KHRG to monitor human rights conditions. It is presented below translated exactly as originally written, save for minor edits for clarity and security. This report was received along with other information from Dooplaya District, including one interview, 155 photographs and one video clip. This Situation Update describes events occurring in Kawkareik Township and Win Yay Township, Dooplaya District during the period between November 15th 2016 and January 22nd 2017, including development, healthcare, education and military activities. Development projects are increasingly being conducted in Kawkareik Township and Win Yay Township. After the new [National League for Democracy] government emerged, the situation of transportation such as road construction and bridge construction has improved. However, development projects that cause great concern for villagers are also increasingly being conducted. [For instance] on January 15th 2017 Asia Eagle Company came to conduct a survey [to test] a rocky mountain in B--- village, Sin Pyay village tract, Win Yay Township in order to investigate whether they are able to construct a cement factory or not [using the mountain’s stone for cement]. Villagers did not agree with the [cement factory] project but the local Karen National Union [KNU] authorities, KNU Township authorities and KNU District authorities gave permission [to the company] to conduct the cement factory project. Therefore, local villagers were unhappy and upset with the cement factory project. Local villagers always have to listen [to updates regarding the project] because they do not know what they are going to do [if the project is implemented]. Due to issues relating to the Three Pagodas Pass-Thanphyu Zayet road, construction issues [for the cement factory] have not been solved yet. Some village heads reported that villagers have to suffer from negative effects related to such development projects. They [some village heads] did not talk about it [development project problems] in a formal meeting but they talked about it informally. According to the local villagers, “They [the company] will not get a chance to conduct a survey on the rocky mountain if the KNU headquarter/ national leader does not give permission [to the company] to conduct the survey. Due to the KNU’s permission [given to the company], villagers have to be silent [cannot resist the cement factory project]”. According to local villagers, “There are many villagers who rely on this rocky mountain [for livelihood security]. Also there are a lot of villagers from many villages who rely on the Win Yay river [which is located] nearby this rocky mountain. We, local residents, are not sure when we have to move away because when the company [Asia Eagle Company] came [to conduct a survey on the rock mountain], they brought a permission letter from the KNU headquarters. We do not know whether P’doh Saw Sein Ler, himself, came together with the company or not. They [the company] also brought a permission letter from the Ministry of Mines [when they came to conduct a survey]. However, they [the company] did not explain to local residents anything about the cement factory project nor about the permission letters. Villagers were [also] not consulted during the planning stages of the Three Pagodas Pass-Thanphyu Zayet road. We have to deal with the negative impact of development projects although we did not agree to them”. The healthcare situation in Win Yay Township, Dooplaya District has not vastly improved yet. A KHRG community member went to meet with a group working on malaria from the International Committee of the Red Cross on January 8th 2017. According to the malaria group [ICRC], levels of malaria have decreased [in Win Yay Township]. Nevertheless, nowadays many cars are driving on the road and due to development projects and cars being driven furiously and carelessly, the air is dirty and dusty. The dirty and dusty air goes into villagers’ houses, shops and restaurants. Villagers can get many diseases from breathing the dirty air and they might have to swallow it when eating. The malaria group are trying to tell [educate] villagers to water the road [to avoid creating dust] but no one cares about it [has acted on this information]. The quality of the road is very poor as it was constructed with stones and sands. Therefore, car drivers have often crashed into villagers’ shops. Due to poor road construction, car accidents happen frequently. There is no traffic law [in this area]. Therefore, some village heads set up an easy judgement system [informal and outside the rule of law] when the car accidents happen. The places that the KHRG community member went [to collect this information] are C--- village, A--- village, B--- village, D--- (E---) village, F--- village, G--- village and H--- village in Win Yay Township, Dooplaya District. Regarding access to healthcare, there are not enough healthcare workers and medical doctors in the clinics [in those villages]. 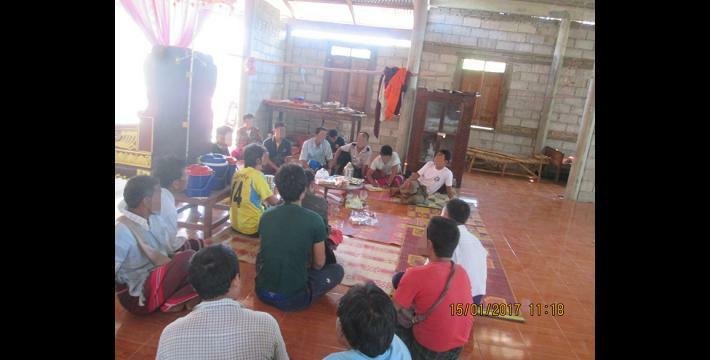 When villagers attended the human rights workshop [conducted by a KHRG researcher] on January 12th and 13th 2017, one of the villagers reported to the KHRG community member, “We have a clinic and medical doctor in our village but she does not always live in the clinic so it causes difficulty for villagers [to get medical treatment]”. In addition, there is not an adequate supply of medicine in the clinics. The education situation has noticeably improved after the Nationwide Ceasefire Agreement [NCA] was signed by the Karen Nation Union and the Burma/Myanmar government in 2015. Many school buildings have been constructed and the number of students has highly increased. [Karen] teachers are allowed to teach Karen literature [at Karen schools]. 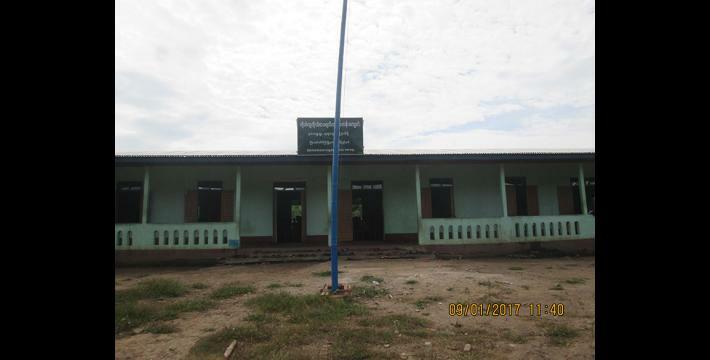 However, A--- villagers said that Battalion Deputy Commander Naing Lin Aung (Tatmadaw) from Light Infantry Battalion [LIB] #31 ordered one of his soldiers to remove the signboard and Karen national flag in front of a self-reliant school on November 11th 2016 in A--- village, Than Payar village tract before the Burma/Myanmar government’s administrators were going to visit this area. On that day the school was closed. After a Tatmadaw soldier removed the Karen national flag, he gave it to a young boy, who was looking after cows, and told him to go back home. The Tatmadaw said that they already had negotiated with local Karen National Liberation Army officials [to remove the flag]. According to a Warrant Officer Chat Pat [from Company (2) under KNLA battalion #16], “That day Strategic Operations Commander [Bo] Myo Tun Win from A’nan Kwin army camp directed Light Infantry Battalion #31 to remove the Karen flag [at the school]”. The battalion commander of LIB #31 is Htat Aung from [military] column #1 and the battalion deputy commander of LIB #31 is Naing Lin Aung from [military] column #2. 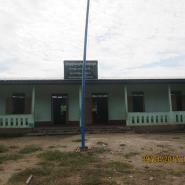 Some [A---] villagers said, “They [Tatmadaw] removed the Karen national flag from the school because they [Tatmadaw] said they are ashamed of keeping the Karen flag in front of the school when the Burma/Myanmar government’s administrators visit. Do they not [Tatmadaw and Burma/Myanmar government] want to recognise our Karen people? The Nationwide Ceasefire Agreement was already signed [by the Burma/Myanmar government and the KNU]. In fact, they [Tatmadaw] should not act like this [remove the flag]”. According to a school head mistress, “All of the female/male teachers from this A--- school are local residents. There are six school teachers. Four of them are female teachers and two are male teachers. There are [censored] students in the school. There are [censored] female students and [censored] male students. This school is a post primary school, up to 6th standard”. Regarding military activities in Kawkareik Township and Win Yay Township, Dooplaya District, the Tatmadaw have to construct three layers of fencing in order to strengthen their army camps following the signing of the NCA. Strategic Operations Commander Bo Mu Khin Maung Maung from Kyaik Hto army camp in Kawkareik Township directed all of the [Tatmadaw] army camps to construct three layers of fencing. Military Operations Commander from Military Operations Command Headquarters #19 was coming to check Tatmadaw army camps [in Kawkareik Township] but he [military operations commander] was unable to come to check the camps. [Instead] on December 12th 2016 a Strategic Operations Commander from Kyainseikgyi came to check the Tatmadaw army camps [in Kawkareik Township]. When he [Strategic Operations Commander] came to check the camps, the road was full of guards for his security. On November 9th 2016, Commander of three [Tatmadaw] headquarters, Chief of Staff Major Tin Maung Tun from the [national] Border Guard Force [BGF], A’sin villagers and some Mee Tan elders held a meeting in the BGF meeting room. Afterwards, they [Tatmadaw and BGF] went to Paya Kone area in Kyain Town with four cars. Then, they went back to their army bases. However there were still security guards on the road. On November 12th 2016, Chief of staff Major General Min Naung also came to check Tatmadaw army camps and then he went to check the artillery army camp in Poe Chi Mu village, Kawkareik Township. Villagers questioned why Tatmadaw soldiers were active on the road. They wanted to know whether they were acting as security guards because they might have received news about Bo San Aung, from the DKBA splinter group. The villagers are worried that something [fighting] will happen [between Tatmadaw and DKBA splinter group]. If something [fighting] happens, it is the villagers who will suffer. On December 20th 2016 the fighting between the KNLA and New Mon State Army Battalion #2 happened at Rit Khee Mountain which is the borderline between Brigade 4 [Mergui Tavoy District] and Brigade 6 [Dooplaya District]. Therefore, the Karen and Mon residents were very worried for their lives. Local villagers also have to confront difficult situations due to development projects and [poor] healthcare services. Regarding the education situation, [Karen] villagers wondered whether the Burma/Myanmar government recognises their [Karen] education. The information for this Situation Update is reported by the voices of villagers and the views of community members. After the NCA was signed by the KNU and the Burma/Myanmar government, villagers had to deal with transportation problems when they travelled because of the DKBA splinter group, Bo San Aung’s, activities. A [poor] healthcare service and [poor] education system has caused further difficulties for villagers. According to the information that I [KHRG community member] collected, villagers’ rights were abused because of development projects and military activities. After 2012, the BGF confiscated villagers’ lands in Kyonedoe Town, Kawkareik Township. In addition, villagers’ lands were confiscated due to development projects. However, in conclusion that until now, both the KNU and the Burma/Myanmar government have no method to solve these land issues. For further information and issues and concerns relating to the Three Pagoda Pass-Thanphyu Zayet road please see, ‘Dooplaya Interview, Saw A---, September 2016,’ June 2017. P’Doh is a Karen title used when speaking of a member of Karen armed groups.